Sizes: Choose an optionRegular 6" x 5 1/8"Petite 5" x 4 3/4"
Meet The Duke, aptly named after John Wayne, is a great basic work stirrup. The Duke’s excellent stability and smart style makes it the best value in economy stirrups on the market. Available in 2″ to 6″ and stained finish only. 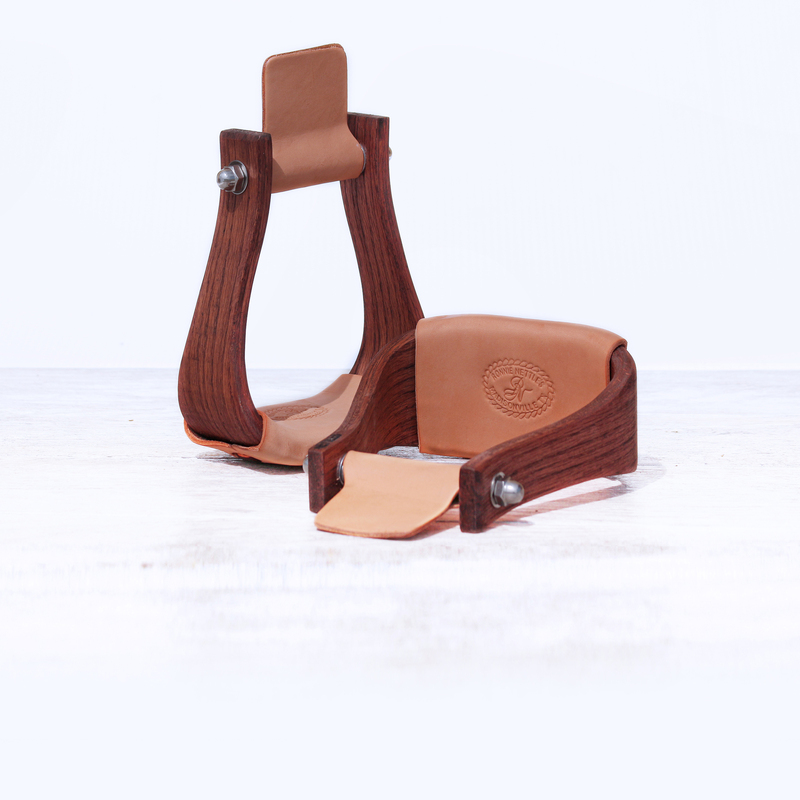 Meet The Duke, aptly named after John Wayne and the best-looking, best-riding, best-built economy stirrup on the market. A sidekick to the Nettles Stirrups Premier Line, it too was designed by cutting horse Hall of Fame trainer and problem-solving guru Ronnie Nettles. 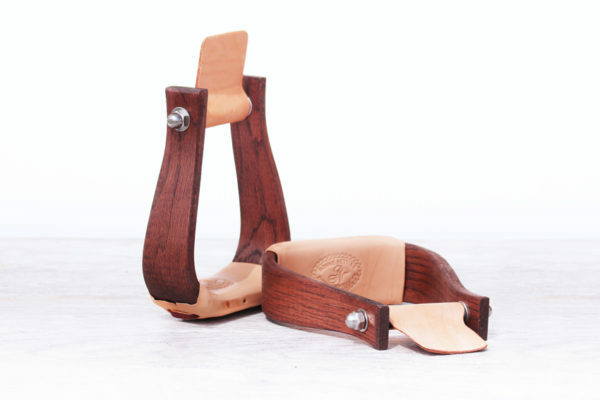 Made of five oak laminates from logs milled at the Nettles Stirrups Manufacturing Company, The Duke is a great basic work stirrup. It is graded at five stations during the building process, has rounded inside edges and is finished in a Rustic Cherry stain that blends smartly with today’s saddles. The Duke’s excellent stability and smart style makes it the best value in economy stirrups on the market. Available in 2″ to 6″ treadwidths and stained finish only. Regular 6" x 5 1/8", Petite 5" x 4 3/4"